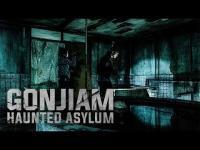 Synopsis: An internet broadcaster recruits a handful of people for their "experience the horror" show at Gonjiam. They are to explore the haunted asylum and stream it live on the show. To attract more viewers, the show hosts play tricks on the guests, but things start to get out of hand when they are inside the place, where tortured souls could really be lurking in the shadows.